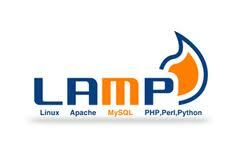 Company is seeking a talented and energetic LAMP Web Developer to assist in the development with our latest venture. As a developer at Quantum Capital Fund, you will have the chance to work in a highly energetic, multi-tasked and dynamic driven team that is based in the heart of Silicon Valley. QCF is building one of the most viral and engaging social media platform. The LAMP Web Developer will help us push the boundaries of what is possible. We are looking for developers and engineers who love finding efficient and thoughtful solutions to a variety of technical and product challenges. You should strive to write efficient, maintainable code and enjoy pushing code everyday. Sample projects include: Search, API, Recommendation Engines, Measurement, Speed & Scale. You will be an integral part of a highly focused and one of the best teams of developers and engineers based in South Africa and Silicon Valley. - Dynamic, positive and communicative team player, who is an expert at multi-tasking and takes inititive. - You will be involved in all aspects of software development from architecture to coding to testing. - Must be enthusiastic, energetic and have a great sense of humor. QCF offers a very competitive compensation package with options in one of the fastest growing companies in Silicon Valley. You will also receive benefits including medical, dental, life and disability insurance, 401k, paid vacation and 10 paid holidays.